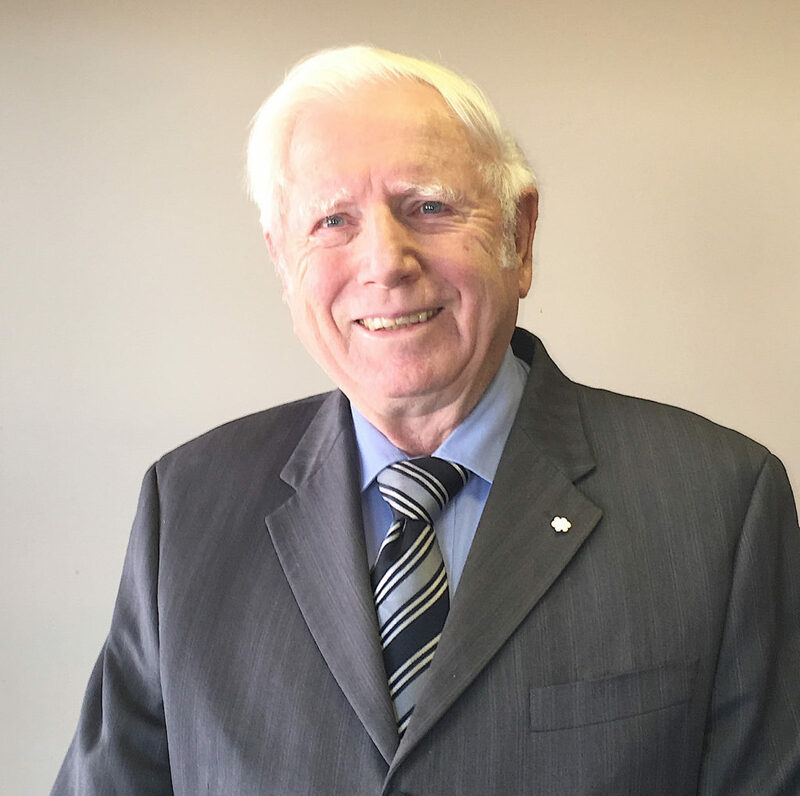 At the end of 2017, energy efficient buildings engineer Harold Orr was awarded the Order of Canada for his outstanding commitment and contributions to Canada’s construction sector. His pioneering ideas and continued research and development led to the birth of the Passive House movement and lead to the greater awareness of energy efficient buildings on a global scale. Recently, we here at iPHA were fortunate enough to take a piece out of his busy schedule to learn more about how he really became one of the Passive House pioneers. Enjoy our interview with this visionary below! Mr. Orr, congratulations on your amazing achievement! How does it feel? So they’ll come up to me and say, “Oh! Mr. Orr…” Well, unfortunately, when you’re seeing a thousand different people, or 500 different people every other day, it gets rather difficult to keep track of even two or three extras every day! So, how did you first get into energy efficient construction? Well, that’s a long story… But, very briefly, it started with my father. My father was a carpenter by trade, and I started about the time I was 11 or 12 working with my father in the summer as a “go-for”. You know a “go for this” or “go for that”. And so when I got through high school and so on, I was actually doing construction work and actually about the time I was in first-year university one summer I got a contract to build a house for a fellow and, I built a house! Then I got married, and I was working with one of the largest house builders in Saskatchewan at the time. Building 80 four unit “four-plexes” if you like, and at that time they insisted that I get a carpenter’s license. And so I have this background. It was at that time that I saw an ad in the paper for someone to work as an architectural draftsman, and since I had two years of engineering drafting I applied for the job. Then, since I had carpenter’s papers, I got the job. So I worked for three and a half years as an architectural draftsman doing commercial buildings and houses and designing schools and various things. The principal architect that I was supposed to be working under, left the government employment and went out on his own to a private company. This left the head spot open and they hired a new architect. And the new architect and I didn’t see eye to eye so I decided it was time to go back to school to get some more education. So I applied at that time, this is back in 1957 to go to the University of Manitoba and take architecture but this was a 5-year course, and I could get an engineering degree from the University of Saskatchewan in two years. So, when I went back, I had a wife and two children and an incentive to get good marks so I was now at the top of the class and they recommended that I should go on for a masters degree. And in doing a masters degree I had to select an experimental thesis. With the advice of my professor, I selected a thesis topic to build “an instrument to measure infiltration in buildings”. And this is where I really got into the low energy situation because prior to this time – this was in 1960 – if you’re doing the calculations for a building, for heat loss to size a furnace or heating system you could calculate the heat loss through the walls because you knew what the insulation was. And you could calculate the insulation heat loss through the ceiling, and through the basement, it wasn’t quite as good but you could get a pretty good idea. But when it came to heat loss due to air that leaks in and leaks out, you didn’t have a clue in the world. And I mean that literally. You literally wet your finger and held it up to see which way the wind was blowing, and you grabbed a number out of the air and wrote it down and hoped you were within 100% of what it actually was! The project you helped lead, the Saskatchewan Conservation House was groundbreaking in its day, what was the motivation behind the project? Well, the Saskatchewan Conservation House was built in the 1970s and if you recall about 1973 the OPEC countries decided they weren’t getting enough money for their oil. So they suddenly decide the oil price is going to double. The Saskatchewan provincial government decided they would try and do something about this. They had a rather unique situation where they had a research organization that was funded entirely by the Saskatchewan government to solve problems that were primarily related to Saskatchewan. So the government asked the Saskatchewan Research Council (SRC) if they would design and build a solar house appropriate for Saskatchewan. Now this project was given to an engineering physicist at SRC and he was asked to head up this project. And he had no background in building at all, and so he thought it over and decided well, I don’t know what to do about this so he asked various people to sit on a committee and help him design this solar house appropriate for Saskatchewan, and I was asked to sit on the committee. …Has building in the area improved as a result? Well, there has been some. The result of that was, well, we asked the builders in Saskatoon to do what we called an energy showcase and we had 12 builders build 13 houses on one street and we had the houses open so that people could go by and see how we could build better houses. As a result of that, the Canadian government invited builders to build what they called the R2000 house, this was back in the early 80’s so 2000 was nearly 20 years away, but they had labelled these as R2000 houses. But what they were trying to do was reduce the energy consumption by about 50% from what conventional houses were doing. And that has continued on with some improvements over the years, but we’re still not at the level that the Saskatchewan Conservation House was. Now Dr. Wolfgang Fiest, from Germany heard about the SCH and I’m not sure if he actually came over and saw it but he saw the papers on it and he said, well that’s the way we need to be building, so that is in fact where the Passive House came from. So it went from Saskatoon to Europe and now it’s coming back to North America again, and we had one Passive House built in Saskatoon two years ago. And right now we’ve got a complex of what will be nine apartments in a Passive House complex here in Saskatoon. It’s under construction right now. In an article for CBC news, you said that all new homes should be built to the Passive House Standard. Where do you feel the biggest hurdles to wider adoption of the Standard lie? From what I can see, the problem is, when you add anything to a house it goes on the down payment. Suppose you’re a builder and you’re building for the general population. The general population are limited to how much down payment they can put into a house. So the builder is very careful to build how, what shall I say, to the minimum. And he doesn’t want to add anything else because if he adds something extra that’s going to be added on the downpayment. And so unfortunately our lenders are still not at the point where they say, “ok, you’re building a low energy house so your energy bills are going to be lower so we can factor that money that you would normally put into energy, into being able to buy a house that’s more energy efficient.” But so far the builders aren’t at that stage here. When it comes to the heating system in a normal house, about $8,000 is spent on the heating and air conditioning system. But when you build a low energy house, it only uses 20% of the energy that a conventional house uses. O I think you should be able to save 80% on the cost of the heating system. Unforuntaley, we don’t have anybody who is making really good, really small heating systems. My estimation is that you should price your heating system on the size/capacity of the thing. So a normal 100,000 BTU furnace costs ~$8000 and if you go for a 20,000BTU furnace it should only be only about 20% of that. But what people do, in almost every case I find, is that they go out and spend more money. Now if you would take the difference between the $8000 and $2000 (20%) – the $6000, you know what? That pays for a better vapour barrier and all of the extra insulation needed in the house. Well, I’ve done a retrofit on a building that was built back in 1954. And back in 1954, the standard insulation in the walls was a 2inch R7 batt, very poor. Well, my daughter lived in the unit, and she found it terribly uncomfortable so we decided to do a major renovation of this. So what we did is we got a backhoe and dug around down to the bottom of the footings which were at 4 feet below the ground surface and we added 10 ½ inches of insulation. First of all, we wrapped the house with a poly vapour barrier, then we added 10 ½ inches of insulation right from the footings right up to the top of the wall and right over the roof. To give you an example on this, before we started this the January bill was $400 the February bill was $400, the March bill was $400 and then in April they read the meter and found they hadn’t charged enough and so the April bill was $650. Ok, well in 2016 I looked at the bill. In 2016 the bill for the whole year was $940. Of that $240 of that was the cost of the delivery of natural gas, nothing to do with energy, so take that off, so $700. We estimated the nat gas for the domestic hot water was $200 so heating for the 4plex is $500. now the heating for each unit. In each unit, we put in a small natural gas fireplace the difficulty with that is the natural gas fireplaces are only about 70% efficient and worse than that you barely see it running unless in really cold weather. And likely only at night. But 70% of $500 is $350 and if you divide that you by 4 the heating for each suite for a year is less than $90 per year and that’s for roughly 1000 square feet. That’s a really big change! Do you think that you would employ that tactic to make other older buildings more energy efficient or is it project dependent? Oh yes, I’m sure could do that for essentially any building. Yes. If when we had built the Saskatchewan Conservation House we could have persuaded everybody to build the same way; today, 40 years later, we wouldn’t have an extra 4,000,000 houses that need to be retrofitted. And if we had at the same time said ok, let’s take 2% or 1% of the houses that we have and do 1% each year. At this point in time, everybody would be in an energy efficient house that wouldn’t need retrofitting, and Canada at this time would be on top of the world as being the best user of energy in terms of heating houses. What would you say today then, to persuade people now to build an energy efficient home or passive house? I think it should be mandatory like it is in Europe. My house, I built my house for example back in 1964 and in 1964 when that house was being built, one of the insulation companies had just come out with a new, what they called a full thick batt that fit in the full 3 ½ inch stud space and they called it full thick insulation. And I said to the contractor, I want you to use this full thick insulation in my house. And he said, oh don’t do that, it’ll never pay for itself. And I said, ok, you tell me how much extra it costs, and let me make the decision on whether we go for it or not. Since I had a number of extras that I wanted, I wanted windows in the living room that would open so we could get the cool breezes when the cool breezes were available and that cost me extra. I wanted brick on the exterior which cost me extra, and so on. And so when he did up an estimate of all these extras I had on, when it came to this insulation, this is 1963, he estimated it would cost me $25 extra to have this insulation put in my house. Well, I had it put in my house, and I estimate I save at least $25the first year. As an expert on building energy efficiency, how have you improved your own home’s energy efficiency? Well, I observed and went in and worked on the vapour barrier while it was under construction to make sure it was much tighter than normal. But at that time, this is 14 years before we built the SCH, my techniques at that time were not as good as the could have been, or would be today. But I have the problem – and I’d very much like to bring my house up to passive house standard – but I’ve got the problem that I’ve got brick on the exterior. Now, what on earth do I do? Well, I’ve finished the basement for example and I’ve tried about four different ways of insulating it. Part of the basement I insulated on the outside. I went out with 2 inches of EPS – expanded polystyrene – insulation and went down to below ground level and then out four feet around the house. One corner of the house I insulted by glueing one inch of EPS onto the wall and then glueing the drywall to it, it only has an inch of insulation. The rest of the basement which I’ve done, I did much more efficiently. What I did was I built a 2×4 wall which I set away from the concrete by 5 ½ inches, and then what I did was, I put a moisture barrier on the concrete below ground. I put R20 batts between the moisture barrier and my 2 x 4 strapping. I put R12 in the strapping itself to give me R32 on the basement walls and put drywall on the inside. We have a suite in the lower part of our house and the complaint I get from the suite is it’s too hot down here! And so what I say is, ok, well close off the hot air registers (laughs). But it has made a significant difference in my house and I was just looking at the bill here today and I make an equal monthly payment, every month and I’m ahead of the game by $107 right now, and until the end of the year my payments are only $65 a month. I replaced my furnace, oh about 10 years ago with a high efficiency condensing furnace. It’s about 97% efficient. It immediately reduced my heating costs by about 30%. I had to replace the furnace anyway. The old one was just at the stage where it had rusted through and had to be replaced in any case. And let’s see, this cost me maybe $500 or $1000 more than a conventional furnace would have cost me. But I’ve recouped that in one year. Oh, I have hopes that eventually the powers that be will decide that everybody should be building to the Passive House Standard. Canada, energy efficiency, energy efficient, Harold Orr, interview, passive house, passivhaus. Bookmark.